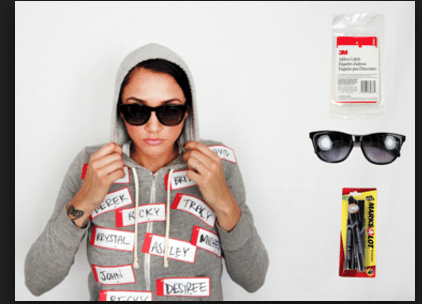 Simple Halloween Costumes For Women That Are Cute too. When the kids were young we had themed family costumes so dressing up was easier. Now I just want a Simple Halloween Costumes to show up to the neighborhood Halloween Party. 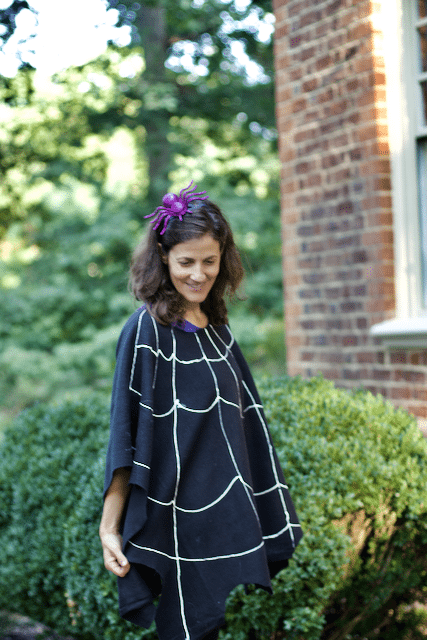 Recently in the Gardinroad catalog I saw a web poncho and thought it was adorable but I did not care for the price. Time to make another Halloween Knockoff for a lot less. 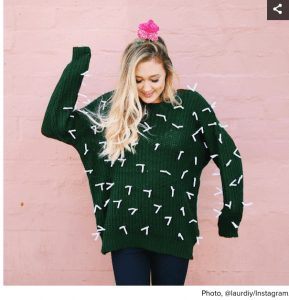 Here is a womens cute halloween costumes that will surely get you in the trick or treat spirit. 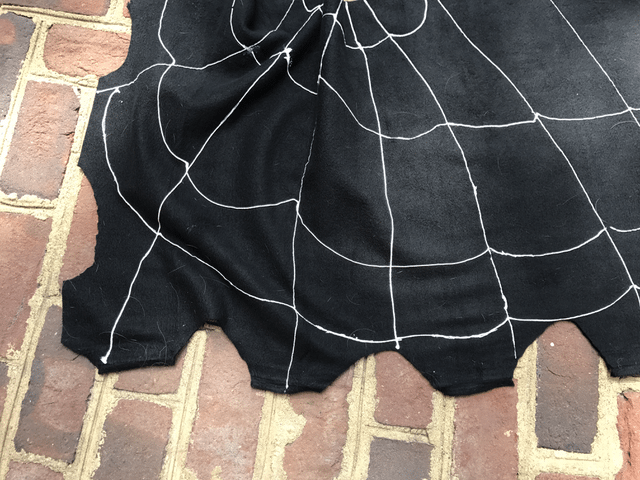 This cute halloween costume for women can be done in minutes, just need a day for it to dry. 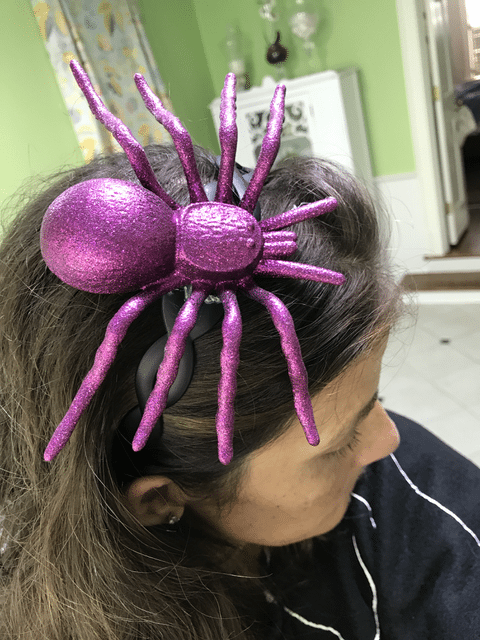 Maybe you just need a simple Halloween to wear to your child’s school Halloween party, this quick tutorial will turn you into the hit of the party. 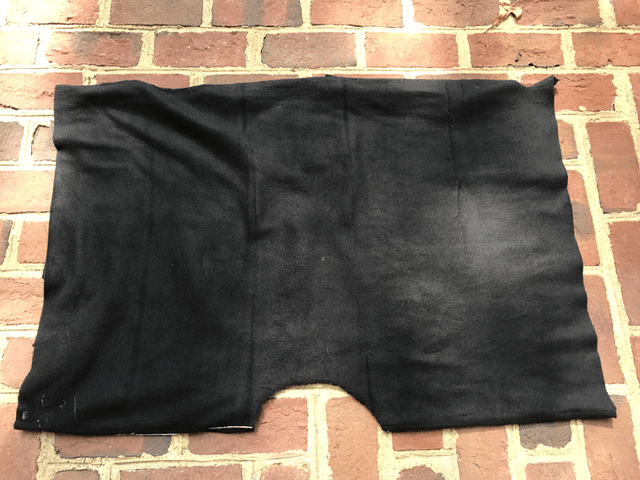 Use a yard to a yard 1/2 of black fleece or black felt. 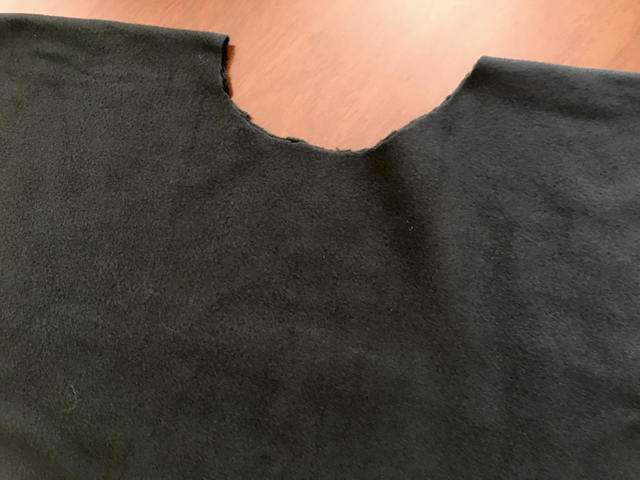 Depending on how cold it will be for your Halloween, you will enjoy the thickness of the fleece. 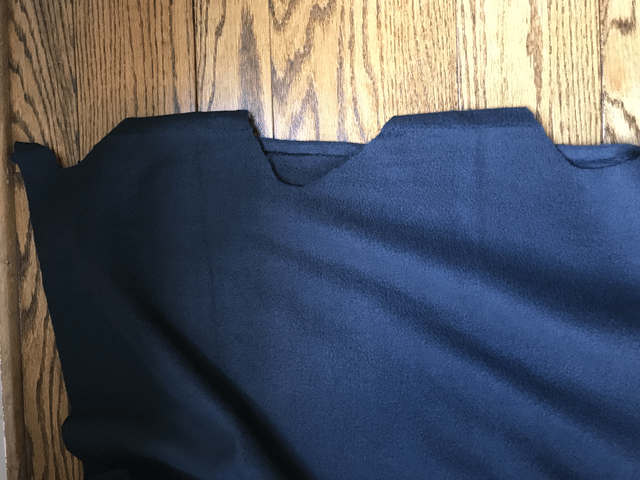 Fold the fabric in half and cut a whole for the head. 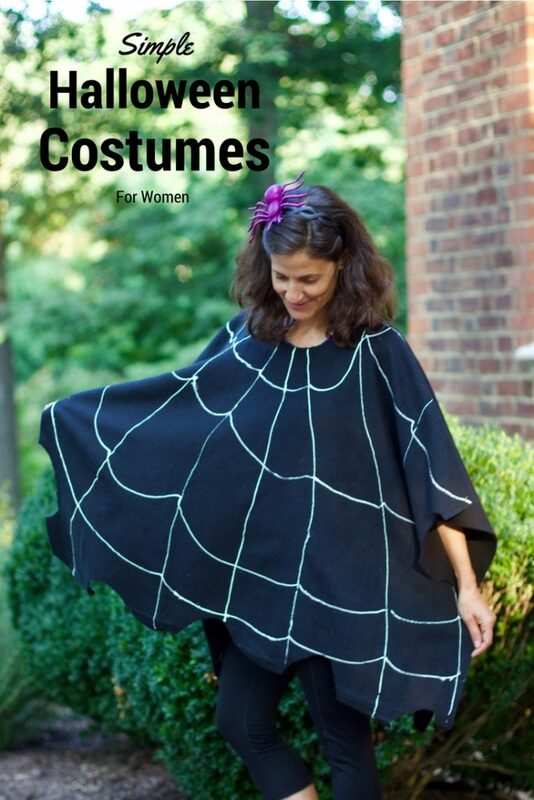 Halloween costumes for adult women need to be practical, especially running around with kids. 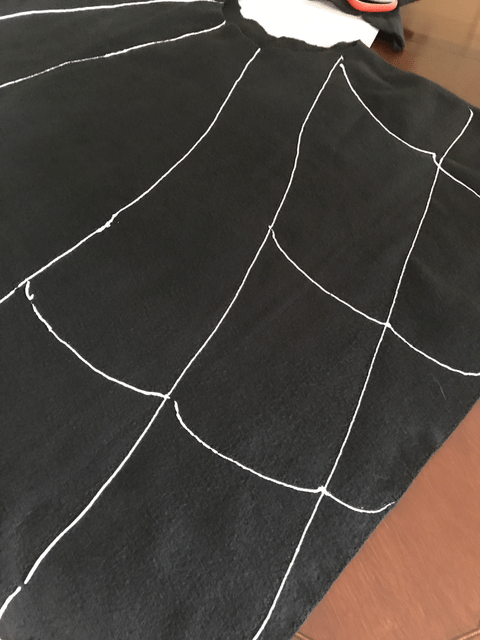 Cut the side to resemble a spider web. 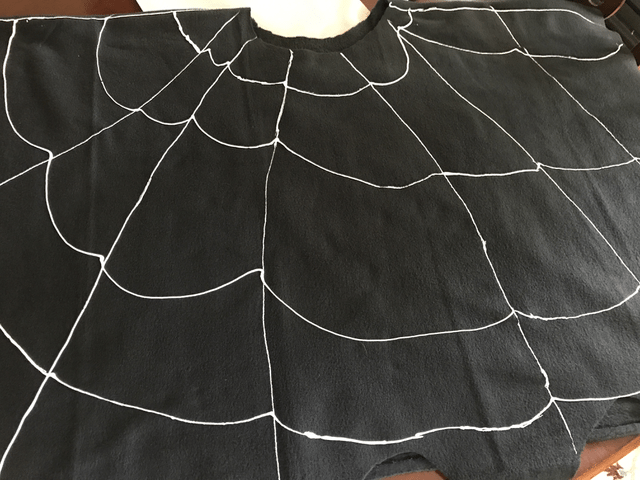 We used Puffy fabric paint for our lines on this womens cute halloween costumes. They also had glow in the dark puffy which would be fun too. 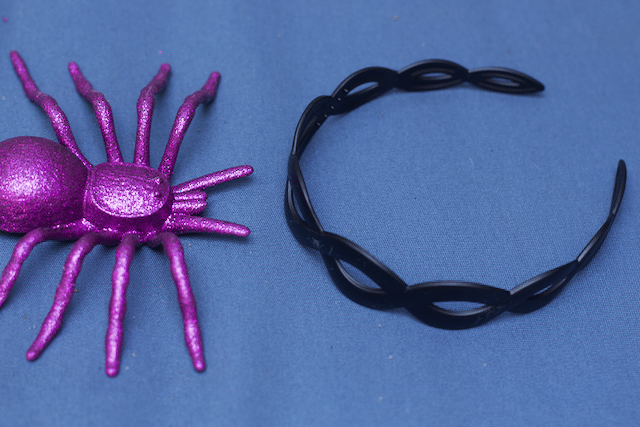 Now to complete this DIY easy costumes, grab a scary spider and cheap headband at the dollar store. Then you just need a glue gun to complete. 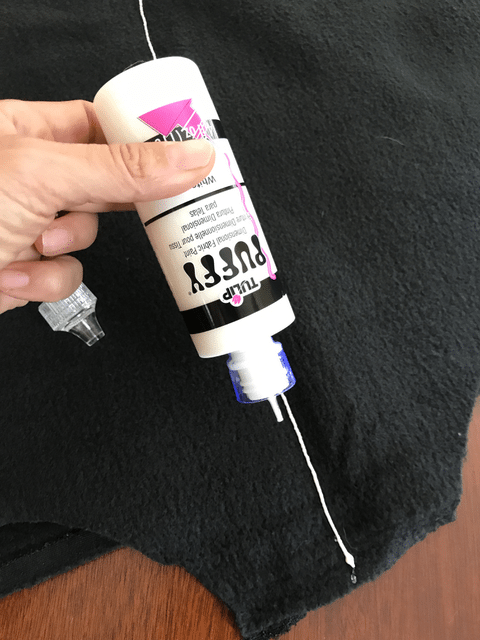 This DIY Halloween project could not be simpler, just glue and hold down to dry. 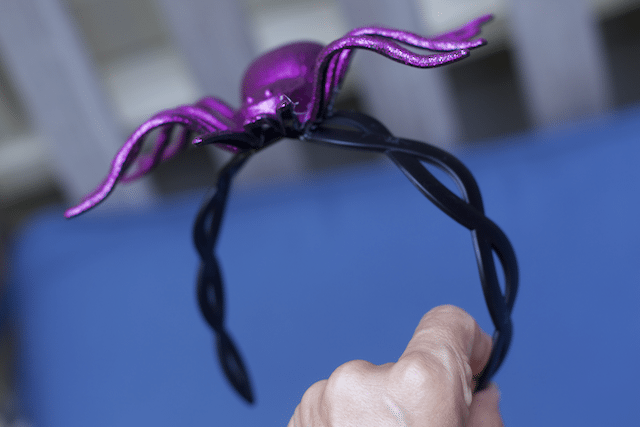 Sure you can add additional ribbons etc but I like the headband to be simple for the DIY web costume. Here is a view from the top of this Halloween costumes for women. Nothing too hard and yet very practical and comfortable. 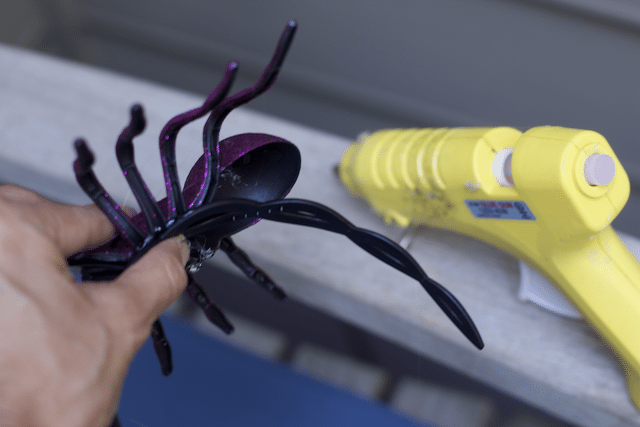 Now let’s see the whole costume put together…. What do you think would you make this for yourself? 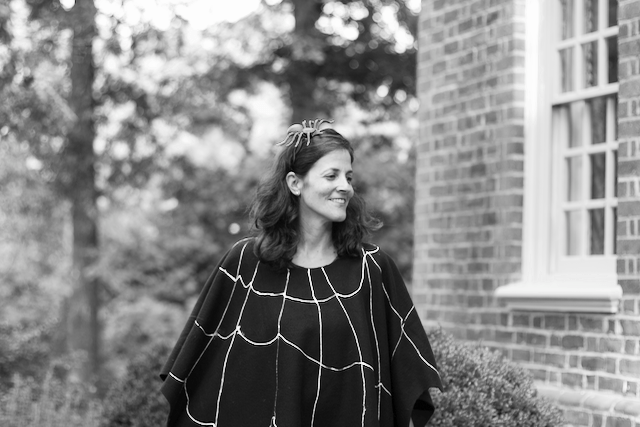 I simply paired my spiderweb poncho with a pair of black leggings. Great idea for a plus or maternity top.